Feiwel & Friends, 9781250038807, 368pp. Chase has been reunited with his younger sister, Lilli. He doesn't remember his past, but Lilli does—she remembers their parents, and life before their planet was destroyed. Chase and Lilli are different. Chase can "phase"—pass through objects, and Lilli can "transport"—send a copy of herself to other locations, even other planets. 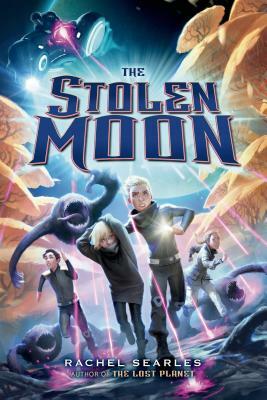 There are only two people who may have the key to their abilities, and their purposes: Captain Lennard, who is harboring Chase and Lilli (and Chase's friend, Parker) on his spaceship, and Asa Kaplan, who may be responsible for an interplanetary takeover meant to push Lennard out of power. Chase, Parker, Lilli, android Mina, and the solider Maurus are fighting for their lives, the lives of Lennard and his crew, and for the truth about what Asa has in store for the universe. Rachel Searles lives in Los Angeles with her rocket scientist husband. The Lost Planet is her fiction debut.